Version 11 upgrade, responsibility centers, consultant conference, free webinars, Facebook and Twitter, verifying feed entries. It's October and the Cubbies haven't gone into hibernation...yet! 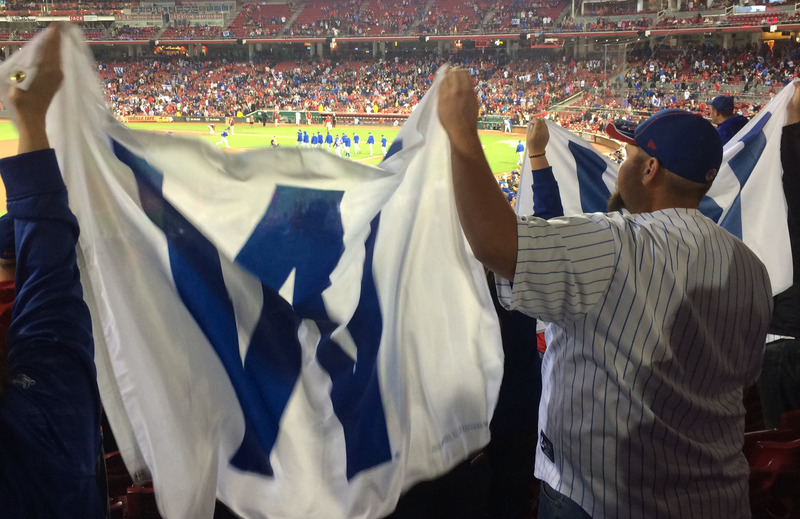 Pictured above is the celebration of "win #102" out of the Cubs' 103-win regular season. We hope you're stringing your own "wins" together this harvest season. FBS is starting a new software season with the introduction of our Version 11 "lineup." How to convert to Opportunity Accounting #2. 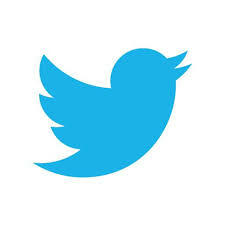 Like us on Facebook/Follow us on Twitter. The integrated world of Version 11. Shipments are starting this month for FBS's new Version 11 upgrade. Corporate and VIP Support subscribers will receive a new FBS Program CD in October, Priority subscribers in November and Basic subscribers in December. "This upgrade combines the best features of FBS versions 8.x (Visual Basic) and 10.x (.Net)," says Dr. Martin Traviolia, FBS Director of Develoment. "We've migrated the database to Jet 4.0 which allows compatibility with the current version of Microsoft Access and provides increased stability with Windows 8 and 10 and Server 2012. This change also enables us to deploy faster reports." Scanner Interface (electronic document management). Opportunity accounting is a continuous learning process that takes you beyond historical dollars and cents through contextualizing your data so that you can make confident and informed real-time decisions. Last month we covered standardized units (one of the foundational concepts of agricultural accounting systems). In this issue we’ll cover the management segments referred to as Responsibility Centers. The process of managing an organization is often described as a cycle of planning, performing, measuring, and adjusting the organization’s operations. This management process is applied by those responsible for the organization. Thus, an effective measurement strategy to support this management process involves some level of reporting on the performance of those responsible for the organization. The idea of responsibility accounting is to tailor the accumulation of costs within an organization to be consistent with the various levels of management responsibility. This idea is based on the premise that managers should be held accountable for their performance as determined by the performance of the people they manage and the resources they control. The segments created in this process are often referred to as responsibility centers. Responsibility centers are created according to whom management sees as responsible for a particular part of the business. These responsibility centers must be structured to provide management with information appropriate to the decisions that must be made. The information that is accumulated through these responsibility centers must be reported to management in a manner consistent with the intended use of the resulting information. The association of appropriate costs with cost centers is a crucial task of the managerial accounting process. The first step in controlling costs is knowledge of where within the organization the cost was incurred and which segment of the business has responsibility for the cost. Examples in agriculture include all crop and livestock production activities. Revenue centers encompass sales, marketing and pricing responsibilities and are most applicable to specialty products with multiple distribution channels. Direct-sale orchards and bull sales would fall into this segment. Investment centers measure performance by return on capital invested. 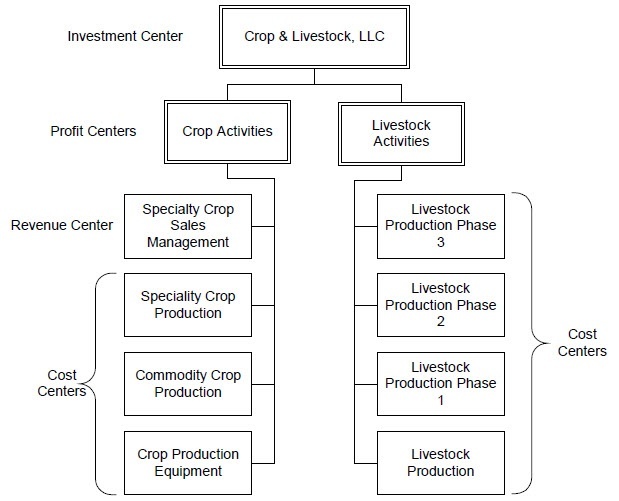 Producer-owned sow farms, ethanol or packing plants may be considered investment centers; however, they can also be classified as cost, profit or revenue centers if the investment intentions are to drive down costs or increase revenue. 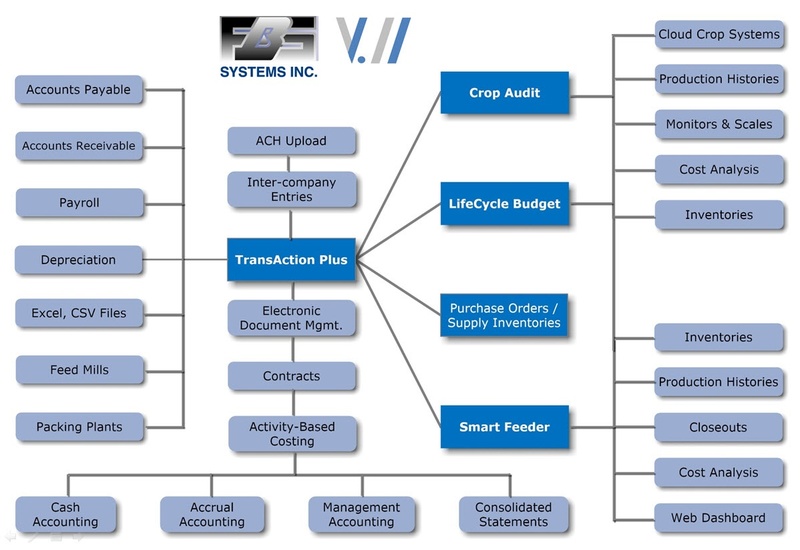 Here’s an example schematic from Management Accounting Guidelines that shows how these management segments can fit together. For more information on responsibility centers download the Farm Financial Standards Management Guidelines. Next month we'll cover deeper classifications of management segments. FBS is expanding its social outreach. If you're on social media please take a minute to find us. 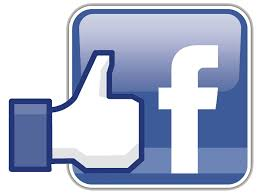 On Facebook you can find us at www.facebook.com/farmbusinesssoftwaresystems and on Twitter @FBSSystems. We'll post links to our weekly blog on both platforms as well as have some fun and share important information! There's still time to register for annual conference of the American Society of Agricultural Consultants (ASAC) which will focus on sharpening skills to take you and your clients to Achieving Greater Profitability. The conference, to be held November 13-15, 2016 in Fort Worth, Texas will take a comprehensive look at global agriculture and the impact it has on U.S. agriculture and how ag consultants can better serve their clients domestically. “The face of agriculture changes daily; this conference will provide educational programming from leaders in agribusiness which will give ag consultants the tools they need to better serve their clients,” says program chair and ASAC vice president, Julie Strain. November 7: Back to accounting basics (checks, deposit, A/P & A/R). November 14: Basic accounting reports: income statement, balance sheet. November 21: All the other accounting reports. 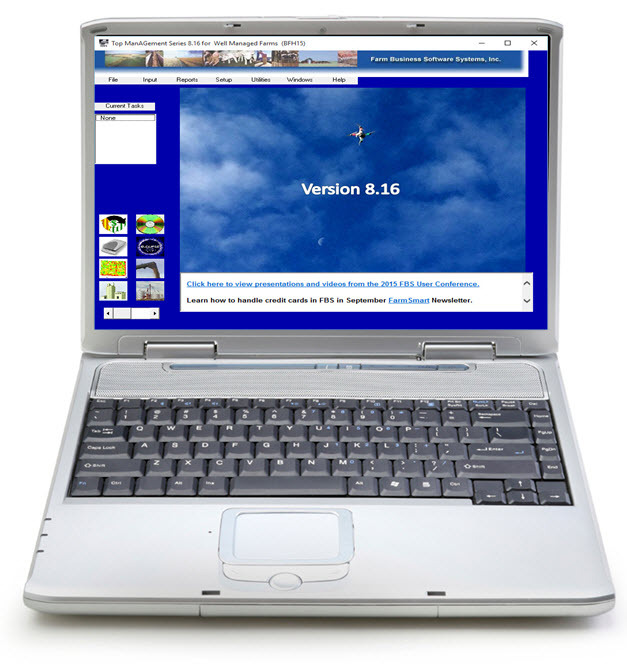 November 28: Installing your new FBS version 11. Q. How do I know if the file I just transferred from my feed mill came across correctly? A. Very good question! There are times part or all of a feed ticket can be missing so it is a good idea to double-check after you import from the mill. It only takes a minute and is much easier to fix any issues while you have the import file in front of you than a couple weeks or months down the road! 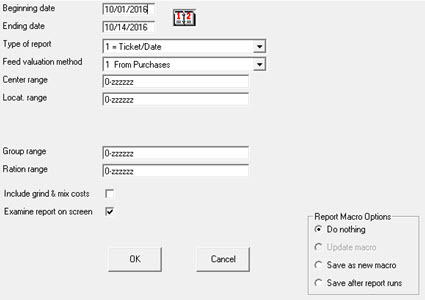 There is, of course, the Transfer Report that you can have pop up after making the import that will show you the tickets and all of the detail, but if you forget to check the box to create the transfer report or just forget to look at it you can always run a Ticket/Ration Report for that date range. It is under Feeding Reports and make sure to pick the option for ticket/date. You can then double check the entries against the import file. 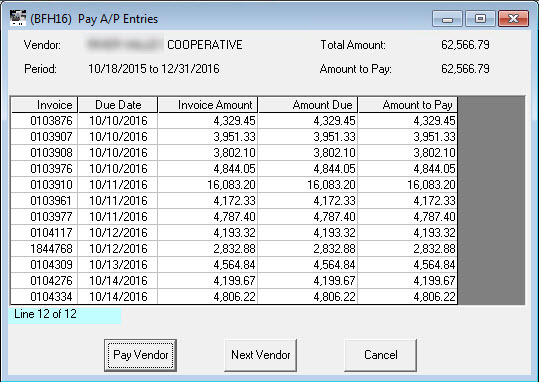 One of the valuable control benefits of recording feed records through your FBS integrated accounting is the ability to simultaneously reconcile feed details (group, ration, ingredients) and the general ledger (accounts payable, feed expense, work in process and cash). Missing feed or mis-priced tickets are easily caught through the Pay Accounts Payable screen. In the example below the ACH payment register from the co-op on the left is displaying an invoice that was missing in their import file. If the feed records were stored in a spreadsheet or online database this error would be very hard to trap. 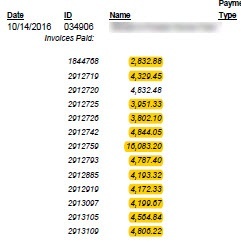 Co-op's payment register Pay A/P is off by amount of missing invoice.